Ah, yes. The back to school frenzy. Worse than Christmas or Hanukkah but better than living out one more day of trying to entertain the kids over summer vacation. Luckily I don’t have to endure the madness known as Back to School, yet. Weston is still too young. For now, I get to surf the web and check out all of the cool gear! 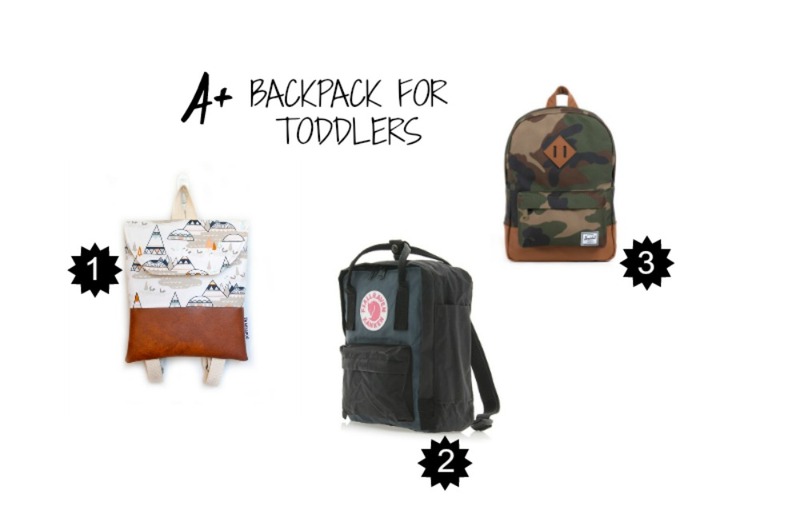 Here are some awesome must haves for you and your kiddos as you venture back into the school year. One of the major downfalls of back to school is the slew of illness your kids are bound to bring home. 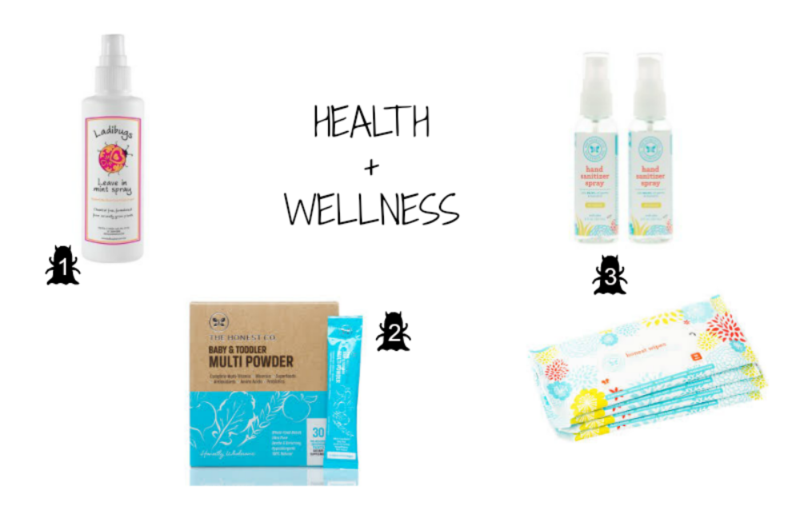 In an effort to stay healthy this season, I’ve rounded up a few survival suggestions to help rid you of those pesty germs. 3. HANNA ANDERSSON – I absolutely love this brand for children’s accessories, like this fold over lunch bag. 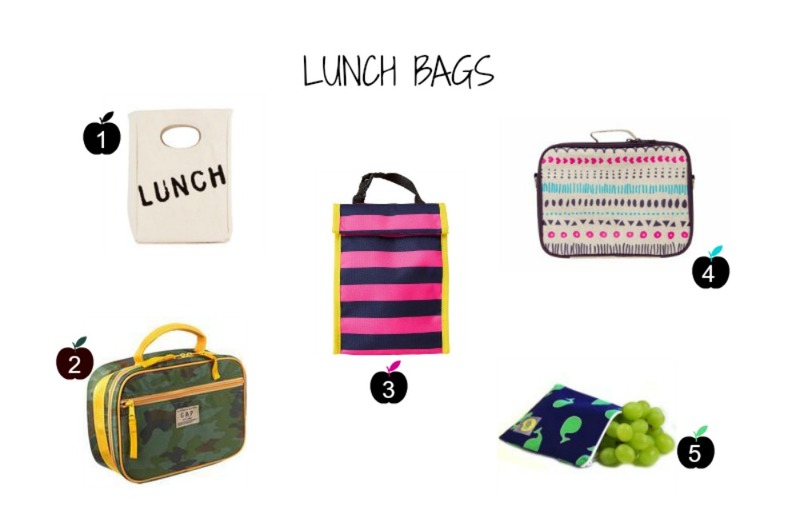 Bold colors and designs mean your lunch bag won’t go missing! Matching backpacks too. On sale for $6.40. Bento boxes are very popular at the moment and I have to admit, when I first saw my friends making their kids’ sandwiches in the shape of cars, I thought it was a little much. But the truth is that bento boxes offer some really great options for food storage and creative ways to get your kids interested in school lunch again. 1. 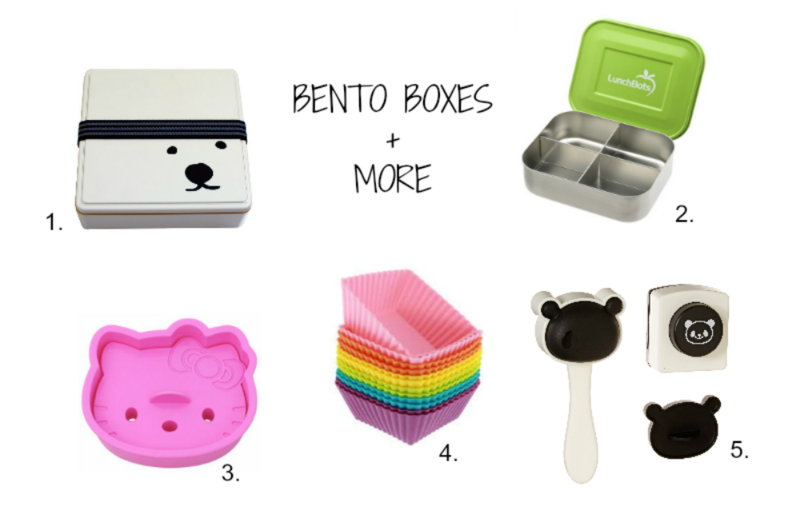 GEL COOL POLOR BEAR BENTO BOX – The cutest bento box that ever lived, this polar bear design is sure to inspire your kids to eat those veggies! This happens to be a family sized box but Gel Cool offers several sizes in this design, including a small one for the kiddies at just $10. 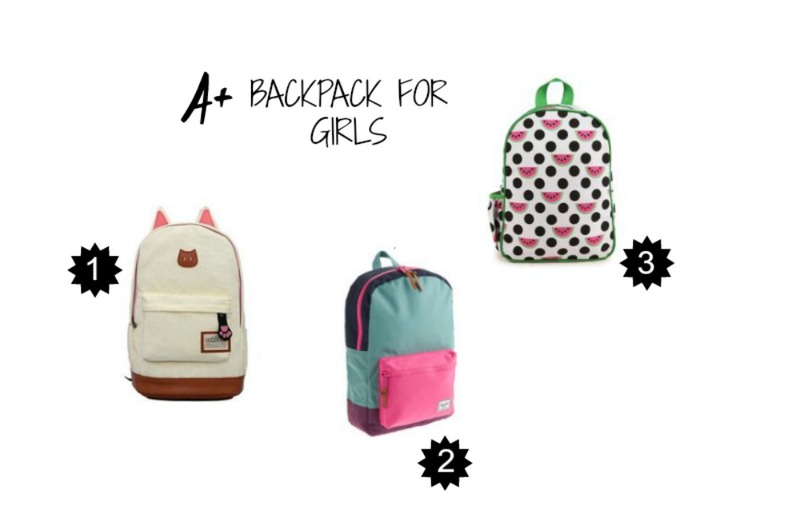 Matching ice packs, lunch bags and more! ($40) I think this is a great brand of bento boxes and accessories. Be sure to check them out for more cool stuff! 3. HELLO KITTY COOKIE CUTTER – Cookie cutters and stamps are an easy, quick way to make lunch time more fun for the kids. Choose from literally thousands of different molds and turn any sandwich into a work of art. For bento box lunch ideas, simply google “bento box ideas” and a million suggestions will help you spice up the lunch box! 5. PANDA RICE MOLD – This is for the black belt bento box mommies. I’m not sure I would have any clue what to do with this but it was too cute to not include. Happy mama, happy everyone. 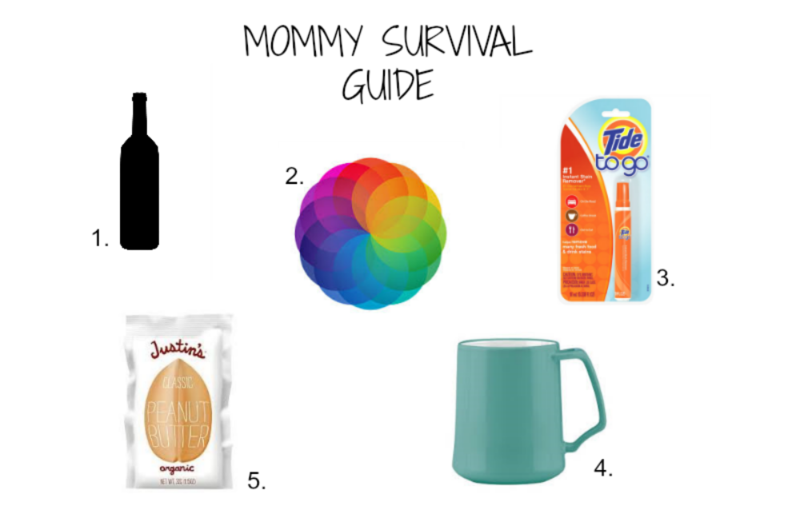 That’s why I’ve gathered a few small items to help get mommy through the school year. 1. WINE – Vino is always the answer. I stock up when my favorites are on sale…what’s a life worth living without mama juice? 2. AFTERLIGHT – Smartphones have made it so incredibly easy to capture special moments and then spruce them up with photo enhancing features. This is one of my very favorite camera apps not only because it offers great filters and other great editing tools, but it’s very easy to use. Other favorites: Awesome Camera, TextMask, VidStitch and A Beautiful Mess. Visit your app store for more details. 3. TIDE TO GO STICK – Having a toddler means that both his clothes and my clothes often look like napkins. I carry this pocket sized on the go remover to help attack stains before they set in. You can find these almost anywhere. 5. JUSTINS – My days often lead to unplanned outings or last minute errands, which means I spend a lot of time on the go. Finding healthy fast food options is usually difficult so I end up burning through the day on an empty stomach, acting like Joe Pesci in those Snickers commercials. That is why I started carrying these emergency packets of Justin’s Almond Butter. I stash them in my purse, in my car and in Weston’s backpack. Voila. It isn’t a complete meal but usually enough to carry me through until I can find a decent food option. You can find these at Whole Foods or Amazon. I hope you enjoyed the back to school roundup. 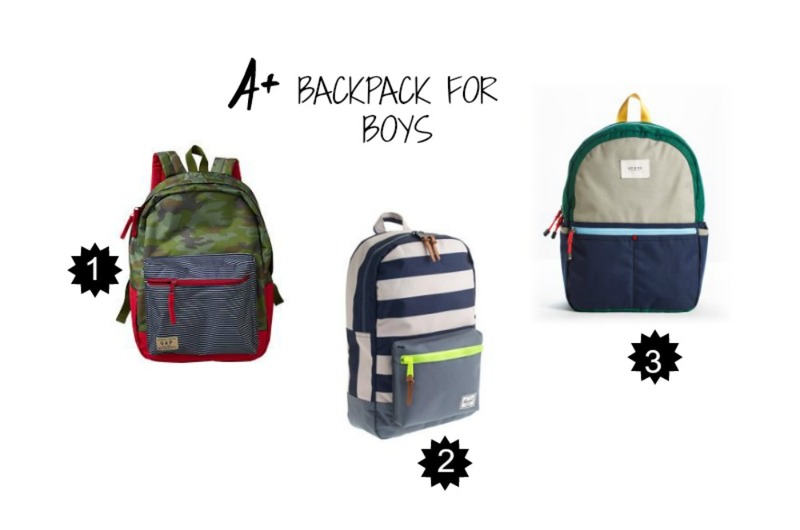 What are your favorites or must haves for when the kiddos return to school? I’ve bookmarked this for future buys. Fantastic list you put together! Oooohhhhh, I need those multi-vitamins packet! Can you direct me to the exact link to the Gap camo backpack? 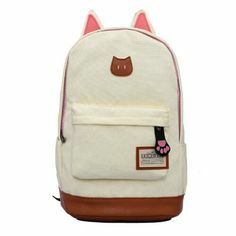 I’m in love but can’t seem to find it anywhere? Thanks! Hi Robyn. I checked the link I provided and that should have brought you to the correct page. I can see that the black style is on sale so it’s likely this camo version is now sold out 😦 There are lots of other camo options out there! Good luck!